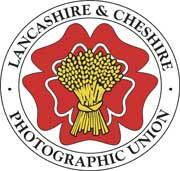 The L&CPU – the Lancashire & Cheshire Photographic Union was formed on the 9th October 1905, and at the time was the largest organisation of photographic societies in the world. Today there are 96 Societies in the Union with a total membership of just under 4,000 photographers. The objects of the Union shall be to foster and encourage the advancement of the science and practice of the art of photography, to provide means for such to federated societies and to provide means for the mutual benefit and protection of federated societies and to form a link between them and the Photographic Alliance of Great Britain. Arrange for the circulation of photographic portfolios to its member societies. Organise or join in organising photographic competitions, exhibitions and meetings. Present Awards and / or Certificates of Merit when appropriate. Maintain a panel of judges for competitions and exhibitions. Maintain a panel of lecturers. 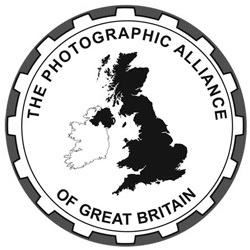 The Photographic Alliance of Great Britain (PAGB) is a membership organisation that co-ordinates activities for photographic Clubs in England, Scotland, Wales & Northern Ireland (including the Channel Islands and Isle of Man). It does this through 15 geographical Federations. The PAGB organises photographic events for its Federations and Clubs. It offers services such as Recorded Lectures and its own photographic Distinctions, known as Awards for Photographic Merit. The PAGB has strong links with similar organisations. In the UK, it has cross-representation with the Royal Photographic Society. It liaises throughout the world via its membership of FIAP (The International Federation of Photographic Art). The Society exists to promote photography and to help everyone realise their potential as a photographer. It does this through exhibitions, distinctions and workshops and its public activities .